Cleaning the gutters on your Eden Prairie home is both important and also a dangerous task for many homeowners. Well River City Home Solutions is the right gutter cleaning contractor to make sure your gutters are flowing properly. We are based in Chanhassen so just right next door and we know how important it is after cleaning your gutters to make sure we leave no debris behind. We hand scoop all debris out of your gutter system making sure they are flowing properly. Because of the dense tree cover in Eden Prairie it is important to make sure your gutters are cleared before that next storm. I personally do each and every job so I know the quality will be up to my high standards. Fall Gutter Cleaning – This is a great time once the leaves have fallen to make sure your gutters are cleared going into winter and ready for that first spring rain. Spring Gutter Cleaning – Not as good of a time as Fall since the first major rains can happen before your gutter system has thawed in the spring. We recommend you having us clean your gutters in the fall if possible so that you don’t have to worry about it raining to early in the spring. Anytime – Like most things on our homes it seems like something can stop working at anytime and our gutters are no different. Maybe the spring rains start damming up debris and it is not until a major storm in July till your downspouts plug. We are available anytime throughout the year to come out and get your gutters working again. Anything else you can do while you are out cleaning the gutters on my Eden Prairie home? Well since we are spraying your gutters down with water odds are some of this dirty water will find its way to your windows. We offer a “quick” exterior only window clean for customers doing their gutters the same day. This is not as detailed as our full cleans, but I promise you will be happy with the value you receive. Well besides making sure the exterior water is turned on NOTHING! You don’t need to be home for us to clean your gutters. The only time we would need you home is when cleaning gutters in the late fall or early spring when your exterior water should be turned off and we need to turn it on quickly to flush the gutters. 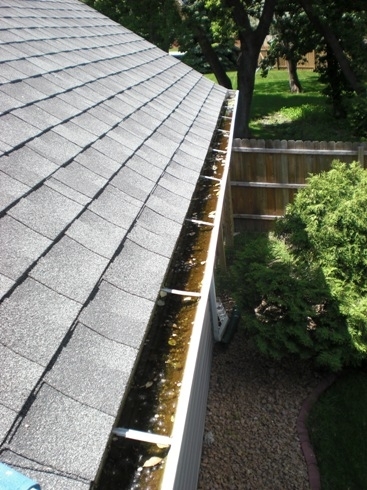 How do we get our gutters cleaned? Well we make it very easy, just fill out our contact form leaving your full address. Usually within 24 hours we will get out and leave you a free estimate. If everything looks good and you want to move forward we will get you on the schedule, easy as that! Window Cleaning – River City offers full service window cleaning in the Eden Prairie area and offers specials when you combine this service with gutter cleaning. I personally wash your window to ensure a top notch job. Gutter Cleaning – Clean gutters in Eden Prairie is important with the dense tree cover that surrounds most of the homes in the area. 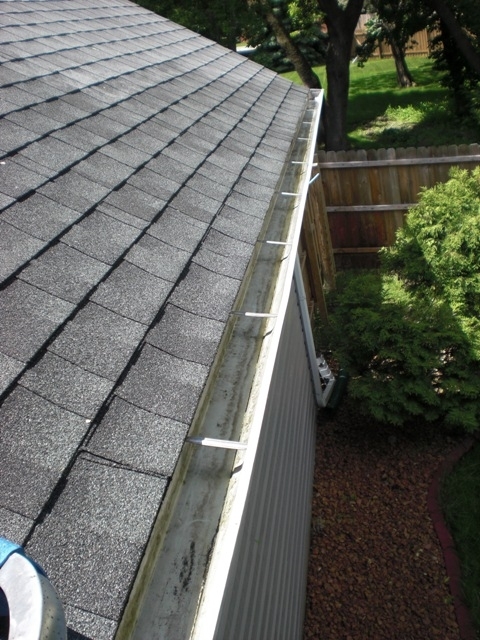 Clean gutters ensure a dry basement and no damage to your roof system. Spring or fall cleanings annually are recommended to ensure that leaves from the fall are not clogging your gutters come spring rains. Pressure Washing – We offer pressure washing on your driveway, sidewalk, deck, stain removal from decks, whole exterior cleaning on your home.